Couples might choose to elope for a number of reasons, but a common thread is the desire for logistical simplicity. While there might not be guests to accommodate and a large event to plan, eloping comes with its own unique set of questions. We’ve asked five experts to aid in your quest for simplification. DID: Would you recommend couples hire a wedding planner if they are doing an elopement? JG: Yes, I would highly recommend they hire a planner to prearrange the actual ceremony and then plan a private dinner celebration. A planner can help hire the best vendors to provide photography and video and organize a romantic dinner for two. Once the ceremony concludes and they return home, they want to show their family and friends their wedding ceremony, so having photography and video documentation is important. DID: If a couple is eloping, can they still opt for all the traditional trimmings of a larger wedding (i.e. wedding cake, floral arrangements)? JG: Absolutely. I did a recent elopement in Napa complete with a wedding cake, a Champagne toast, a floral bouquet and candles – plus a wonderful private dinner prepared by a personal chef. We even hired an antique car to drive the couple around Napa to take wedding pictures. DID: Elopements are generally shorter and much more simple than traditional weddings. Should couples pay less for their photographer if they’re eloping? SE: You get what you pay for, right? If you want amazing photographs and you are already going the extra mile (literally) to elope in a beautiful destination, then why not choose a photographer that you know you’ll love and trust on one of the most important days of your life? There are so many ways to cut down on a budget when it comes to weddings, but photography should never be one of them. DID: If a couple gets married away and then hosts a hometown reception, would you recommend they book the same photographer for both events? SE: 100% YES! Not only is a connection already established with the photographer and couple, but it brings the photographs full circle and tells a more complete story. Plus, there’s the added fact that the photographs will all have a similar style and look, which if you have OCD like me, can’t hurt! 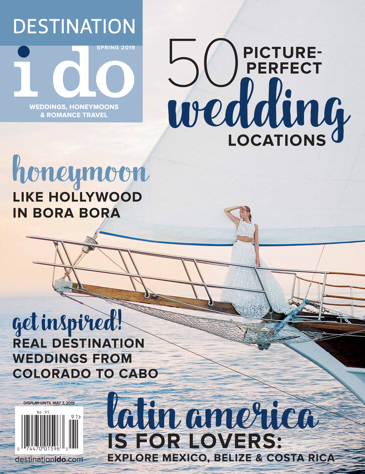 DID: For couples that opt to elope, would you recommend they wrap their honeymoon into the same trip or should they say “I do” in one place and honeymoon in another? SM: The great thing about eloping is that it’s just the two of you, uniting and celebrating in your own unique style. 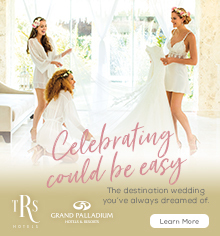 Personally, I look at the wedding and the honeymoon as two separate events, so in my world, I would do the elopement in one place and then move to a new place for the honeymoon. It’s all about the two of you taking time out of your lives to fully commit to each other and then to have some time to bask in the glow of that connection before you return to the real word. 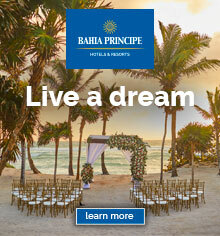 DID: Sometimes resorts offer perks for couples hosting their wedding on-site. Does the same hold true for elopements? SM: All-inclusive resorts are known for offering special incentives for weddings, but if it’s just the two of you for a short stay, you may not find as many packages and perks. Whether you’re eloping or booking a honeymoon package, read the fine print carefully. That’s the job of a good travel or wedding planner – to act as your advocate, help you decipher the details and make sure you’re truly getting a great value, instead of one that just looks good online! Karly, eloped to the South of France (shown here). DID: What were the logistics of planning an elopement like? 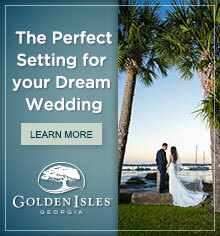 Do you feel it was significantly less stressful than planning a destination or hometown wedding? RB: Our elopement was in a foreign country, but it was certainly less stressful not having to worry about guests: which dates work for which people, how much it would cost them, logistics of getting them to a rural venue in a foreign country, accommodations, etc.. It’s refreshing to be able to focus on each other, which is really what it’s all about. DID: What resources did you use to help you pull off your dream event? A traditional wedding planner, online resources, etc.? RB: We were already familiar with France, so initially we were going to try and see what we could accomplish on our own. After a while, we decided that given how busy we were with our jobs, bringing in a French wedding planner would be convenient given the time commitment necessary to sort out the details, plus factors like significant time zone differences, having to work out back and forth negotiations, and legwork that simply required eyes on the ground in France. DID: Is it still appropriate to have a large, formal gown for an elopement or should it be more understated like the event? BC: I generally recommend that the level of formality of the gown mirror that of the event. That being said, that does not mean you can’t do a ball gown for an elopement. If a princess silhouette is what is the most flattering for you and reflects the vision you have for your wedding, then by all means go for it! I might recommend a ball gown in a soft, lightweight fabric, like tulle or organza, so it is not as formal and easier to travel with. DID: In terms of accessories, can a couple still go all-out for an elopement, i.e. veil, bouquet etc.? 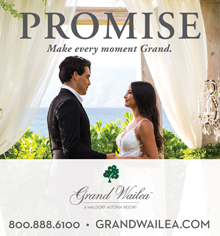 BC: Whether your wedding is an intimate elopement or a grand soiree for 500 guests, it is still your wedding. I think a veil and bouquet are always appropriate for a bride regardless of the size of the event. They are traditional elements that make a bride, a bride!